Syracuse Symposium kicks off its yearlong exploration of “Place” with a trio of events spanning art, music and education. 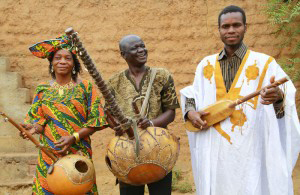 On Tuesday, Sept. 20, Mande Strings will present a concert of West African folk music at 8 p.m. in Setnor Auditorium. 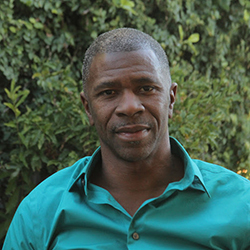 The following day, Shawn Ginwright, associate professor of education in the Africana Studies Department at San Francisco State University (SFSU), will discuss the role of healing strategies in stressed schools and community organizations at 5:30 p.m. in Maxwell Auditorium. 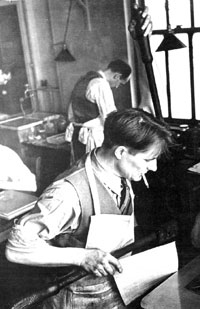 From Friday to Sunday, Sept. 23-25, artists, scholars and curators will pay homage to Stanley William Hayter, one of the 20th century’s most influential printmakers, with a two-day symposium and three-day print fair in the Shaffer Art Building. Syracuse Symposium is organized and presented by the Humanities Center, based in the College of Arts and Sciences. All events are free and open to the public. For more information, call 315.443.7192 or visit humcenter.syr.edu. May adds that, for the first time in its 15-year history, Syracuse Symposium will officially run the entire academic year. “The expanded format, along with our new website, is designed to reach wider audiences and highlight the humanities as a public good,” she says. Activities get underway with the Mali-based Mande Strings, whose program is titled “Music and Place Around the Black Atlantic.” The trio comprises Kokanko Sata Doumbia, Assaba Dramé and Lamine Soumano, all of whom play indigenous stringed instruments, including the guitar; the kora, a 21-stringed lute-bridge-harp; and the kamelen ngoni, a hide-covered wooden bowl, with a round stick for a neck. Organizer Sydney Hutchinson says the music of the West African Mande people has a long and complex history, with some songs possibly dating back to the Mali Empire of the 13th century. The concert is sponsored by the Department of Art & Music Histories in A&S. The following afternoon, Ginwright will present a lecture titled “Radical Healing in Schools and Communities,” part of the School of Education’s (SOE) Douglas P. Biklen Landscape of Urban Education Series. An expert on African American youth activism and development, Ginwright will explore how a deep focus on healing and hope can counteract structural inequality and violence, leading to justice and social change in urban schools and neighborhoods. Marcelle Haddix, Dean’s Associate Professor and chair of the Reading and Language Arts Center in SOE, is the series organizer. She expects Ginwright to reference his latest book, “Hope and Healing in Urban Education: How Urban Activists and Teachers Are Reclaiming Matters of the Heart” (Routledge, 2015), which will be on sale at the SU Bookstore, during his visit. A senior research associate in SFSU’s César E. Chávez Institute, Ginwright also is the author of “Black Youth Rising: Activism and Radical Healing in Urban America” (Teachers College Press, 2009) and founder of Leadership Excellence, an Oakland-based youth development agency that trains African Americans to address pressing social and community problems. The lecture is co-sponsored by SOE and the Humanities Center. The week concludes with a symposium and three-day print fair, collectively titled “Atelier 17: A Gathering Place for Avant-Garde Artists.” Presented in conjunction with the SU Art Galleries exhibition “About Prints: The Legacy of Stanley William Hayter and Atelier 17” (running through Nov. 20), the symposium is Friday and Saturday from 10 a.m. to 1 p.m. Much of the discussion will revolve around Atelier 17, an influential printmaking workshop that the London-born Hayter founded in Paris in 1927. Panelists include Domenic Iacono, director of the SUArt Galleries; Joann Moser, former deputy chief curator of the Smithsonian American Art Museum; Christina Weyl, a freelance curator, as well as co-founder and co-president of the Association of Print Scholars in New York; and Andrew Raftery, professor of printmaking at the Rhode Island School of Design. The SUArt Galleries will host a print fair in the Shaffer Art Building Galleria on Friday and Saturday, from noon to 6 p.m., and on Sunday, from noon to 4 p.m. The fair will feature representatives from the Susan Teller Gallery in New York City; the Dolan/Maxwell Gallery in Philadelphia; Annex Galleries in Santa Rosa, Calif.; Thomas French Fine Art in Akron; and Lake Effect Editions in Syracuse. Events are co-sponsored by the SUArt Galleries and Humanities Center.